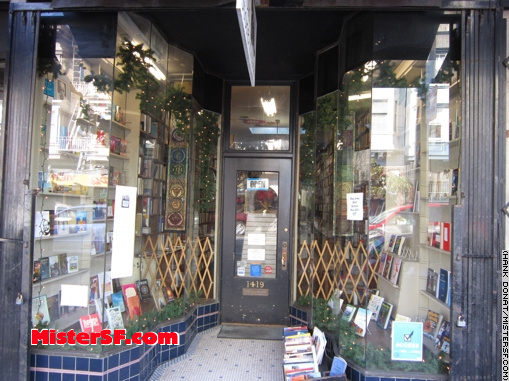 Dateline: Lower Nob Hill, 1419 Polk Street. 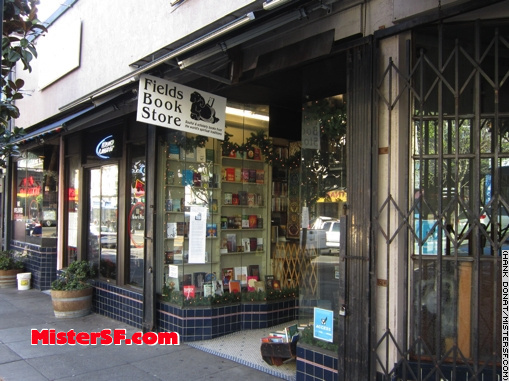 While Fields Book Store was a longtime resource for materials that teach us to be in the moment, its owner has decided to give the community fair warning, a pre-bye, before leaving its brick-and-mortar coil. 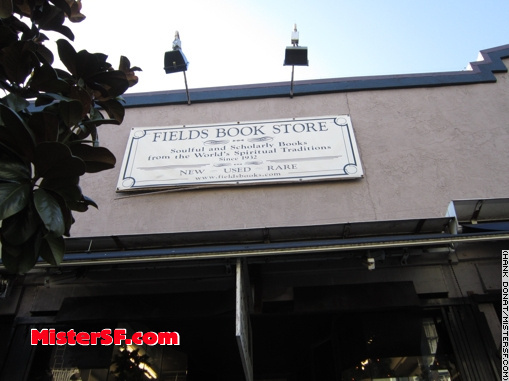 “Fields Book Store is currently San Francisco’s oldest continually operating bookstore in its original location, having been founded by George Fields in 1932,” says owner David Wiegleb in an announcement that was posted in the store window and online this week. “It has passed through a number of hands over the years, most notably Ruth Hill Cooke.” Wiegleb has operated Fields for the past 12 years. 80 years can go by like a ray of light. Even our longest standing institutions of 20th Century media seem quaint these days, like stacks of mix tapes, in the light of an iPad. 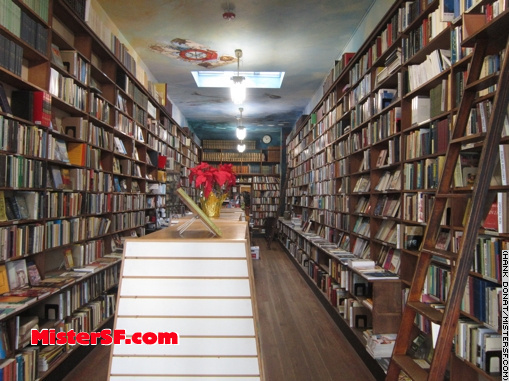 Mister SF celebrates the pervasive access to enlightenment and information afforded to us in the 21st. That’s him over there – breathing in, breathing out, and letting go. 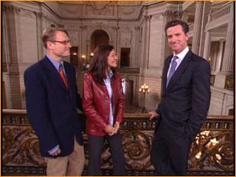 Wiegleb says it’s time to wind down the “physical manifestation” of Fields. 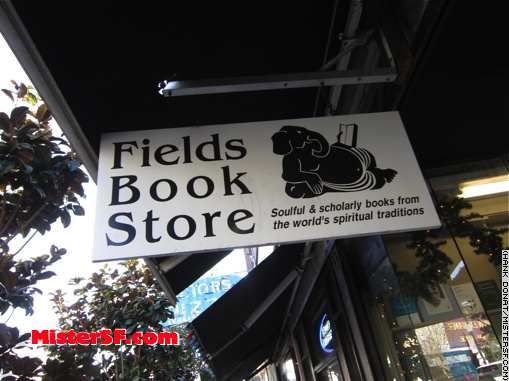 He intends to continue selling books online at Fieldsbooks.com.